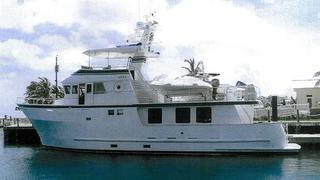 Tim Johnson at Ardell in Fort Lauderdale sends word that he's signed the 24.4m motor yacht Lora for sale. Built by Northern Marine in 2002 as an expedition superyacht, Lora sleeps eight guests in four staterooms and is fitted with those all-important zero speed stabilisers. Fitted with a hardtop on her flybridge, Lora is asking $4.25 million.